8 years is a long time, especially in music. So much changes so quickly. 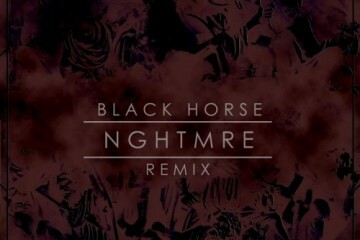 In 2011, EDM had barely scratched the surface in the US. But in 2018, EDM has made its mark upon pop culture as a whole. We can largely thank festivals like EDC for that success, with impeccable lineups and grand production giving EDM a live playground. 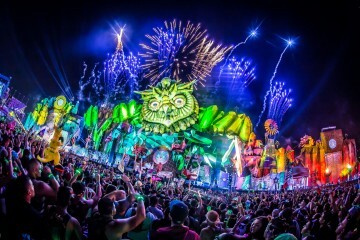 And while EDC Vegas remains the flagship event, its little sibling in Orlando deserves just as much praise. In its eighth year, EDC Orlando shines bright under the electric sky. Bigger, brighter, bolder are what we’re dubbing the unofficial tagline for EDC Orlando 2018. 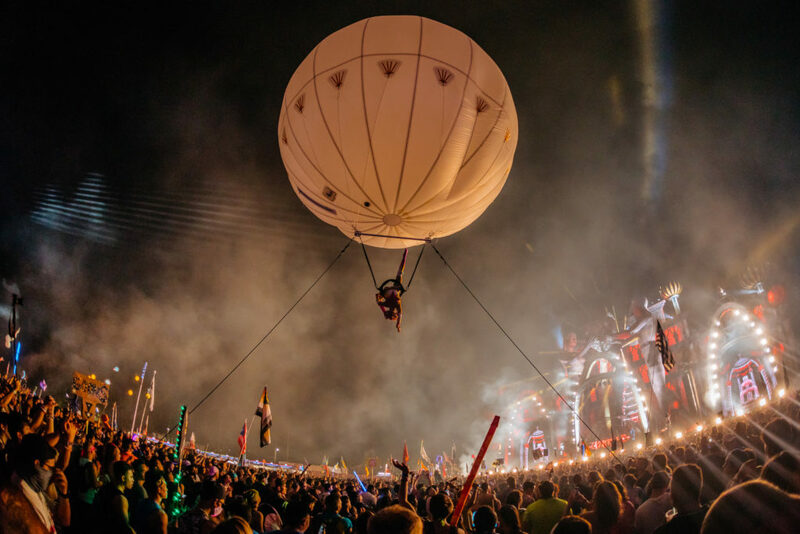 The Insomniac-helmed festival has grown fully in the Tinker Field venue, hosting three stages with a slew of rides, experiences and performers. 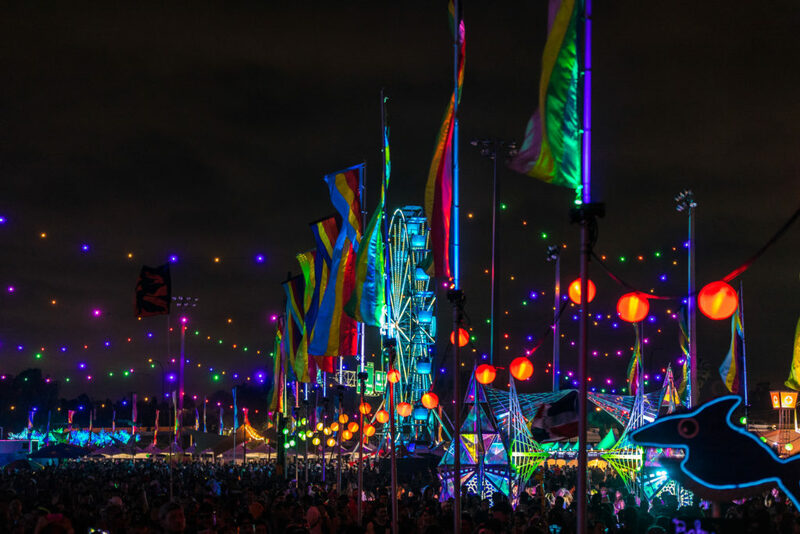 EDC Vegas lends three of its stages each year: the majestic kineticFIELD, the massive circuitGROUNDS and the intimate neonGARDEN. 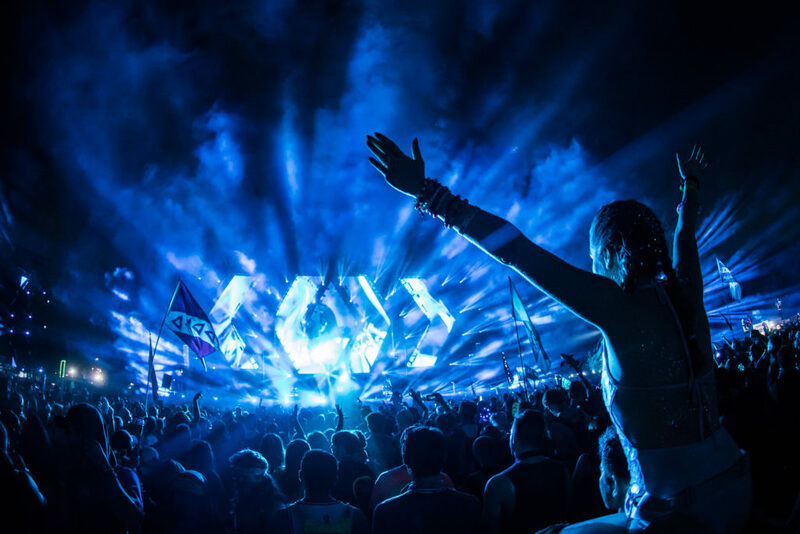 Each stage receives top-notch curation, with kineticFIELD appealing to pop and bigroom, circuitGROUNDS servicing bass and some radio-friendly EDM and neonGARDEN providing deeper sounds. The stages themselves mimic their bigger counterparts. kineticFIELD arrives as a smaller, but just as impactful adaptation, complete with beautiful lights and dazzling pyro and hydrotechnics. 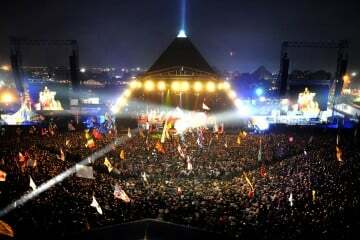 circuitGROUNDS turned out to be a wholly new design, consisting of a massive central stage and pillars decked with LEDs running alongside the right and left sides of the crowd. 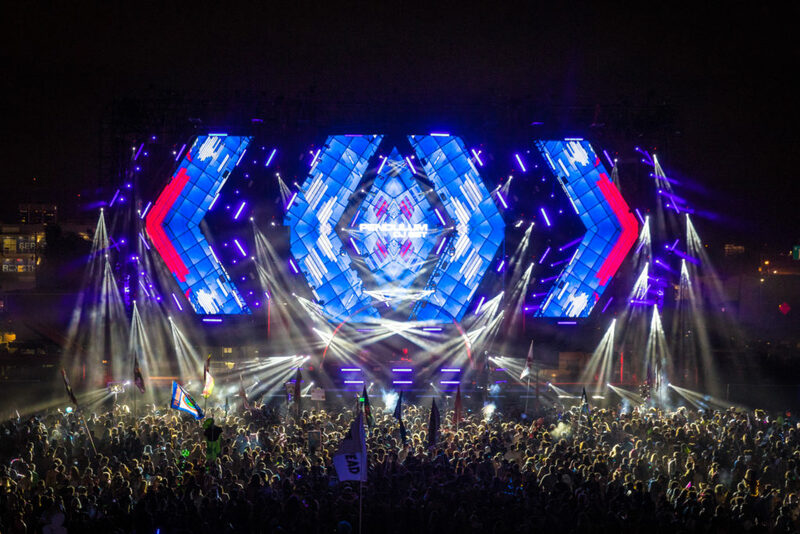 Finally, neonGARDEN once again returned to its tent design, prioritizing light and sound displays over flashy screens. 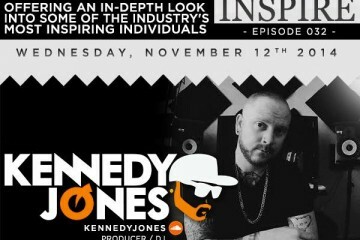 This year’s lineup remained as stacked as ever, slotting massive names with up-and-comers. Big gets like Martin Garrix, Kaskade, Tiësto, Jamie Jones and Nicole Moudaber drew crowds, but some of EDM’s new guard stood out the most. People flocked to see Malaa, Tchami, Illenium, Alison Wonderland, Pan-Pot and others. These were the sets diversifying the music at the festival, a departure from the typical bigroom and dubstep dominating EDM events eight years ago. Some exceptions could be heard during the weekend. Gryffin played it safe, mixing his own productions with flavor of the month radio tunes. Kaskade closed the festival with ancient mash-ups worthy of a 2014 main stage set. 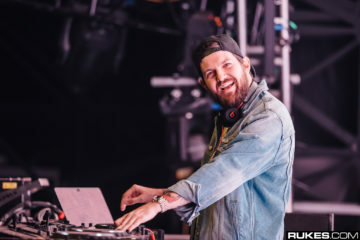 While not every set evoked EDM’s progress, we were excited to see most sets move forward. Even regulars like Jamie Jones changed it up from previous sets at EDC Orlando, a welcome step forward. The logistics of EDC are as reliable as gravity. Entry lines quickly got people in, staff greeted guests with smiles and high-fives and crowds never blocked pathways. Amenities such as bathrooms, food stands and bars were evenly placed throughout the venue, with one exception: water refill stations. While the two big stages came equipped with stations, neonGARDEN fans were forced to leave completely to refill water. Who knew getting water could be such a buzzkill? 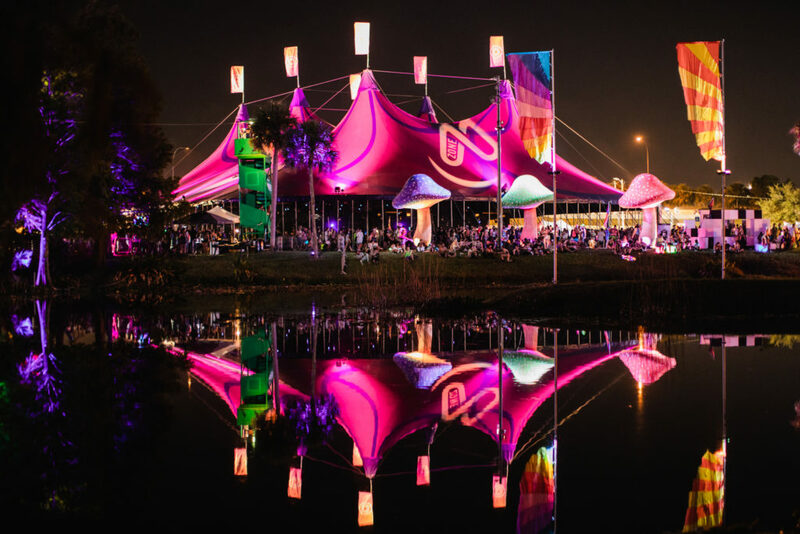 As much as EDC Orlando may enjoy a “little sibling” status, it presented top-tier spectacles worthy of its big sibling. Performers hanging from inflatable balloons flew through crowds, a tesla coil emitted electricity and lights of all shapes and colors decorated the venue. Smaller experiences like the Corona Electric Beach stage worked as smaller events within the main event. 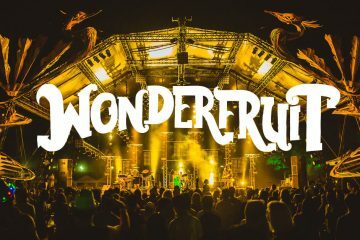 The festival perfectly transported guests to another world, one dominated by booming bass but warm, welcome atmosphere. If it ain’t broke, don’t fix it. 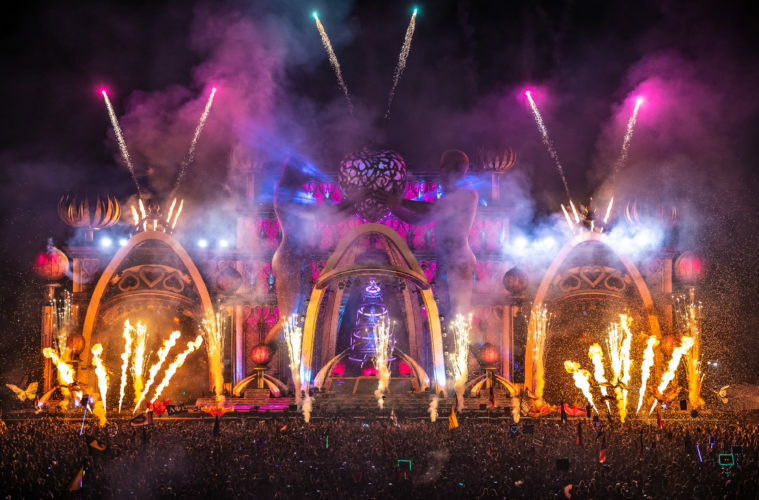 Some may want EDC Orlando to expand, perhaps add another day, stage or more artists. However, we think the festival is perfectly sized and organized. EDC Orlando may never outclass EDC Vegas, but it doesn’t have to right now. 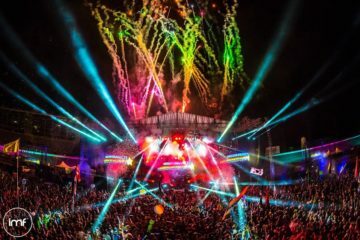 For guests looking for a more compact but just as exciting event, EDC Orlando satiates the rave hunger exquisitely. 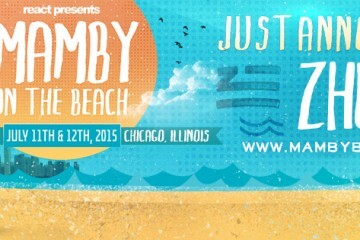 React Presents Announces ZHU As Surprise Headliner For Mamby On The Beach!